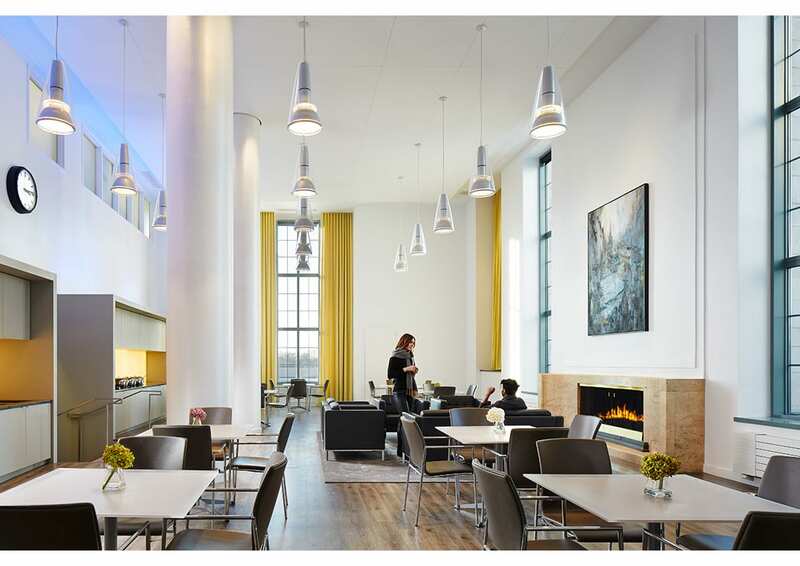 This project transforms an existing, worn-out room into an attractive, state-of-the-art multipurpose space for the McCormick School of Engineering at Northwestern University. 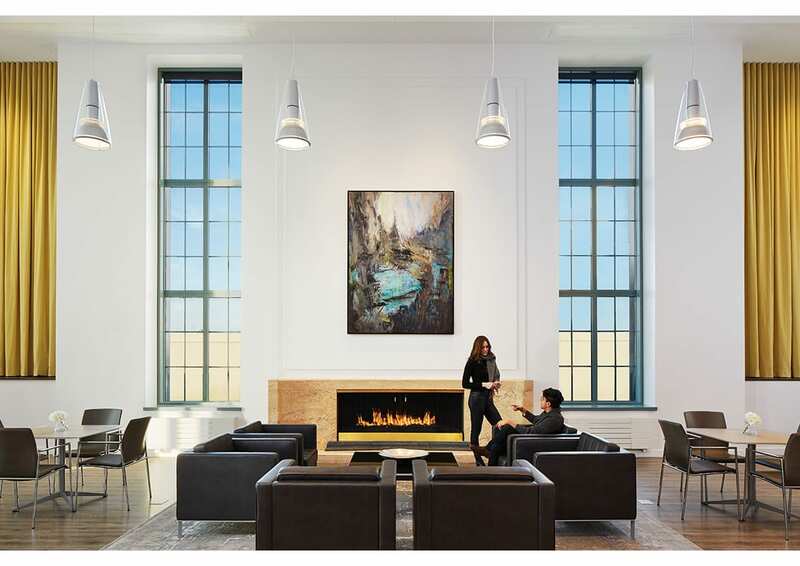 Cohen Commons is the largest non-instructional gathering space in the school, a dignified and comfortable area for meetings and events for various audiences, including donors, alumni, visitors, and advisory boards. The space is flexible and adaptable, providing the ability to host large assemblies such as McCormick faculty and recognition events. Movable furnishings allow users to change configurations as the need arises. The room is equipped with AV capabilities including projectors, recessed screens that drop from the ceiling, speakers, resident computer, and podium. Sustainable materials, low-VOC finishes, and highly efficient LED lighting provided for a high-impact space. A full renovation of the kitchen allows for a new menu, offering better choices to compete with other nearby food establishments and prepare meals on site. The kitchen has the capacity to serve 30-50 for lunch and 40+ for dinner. This space now is in constant demand for numerous events, and faculty and students are gathering in a more relaxed environment to collaborate on new ideas and build new relationships.